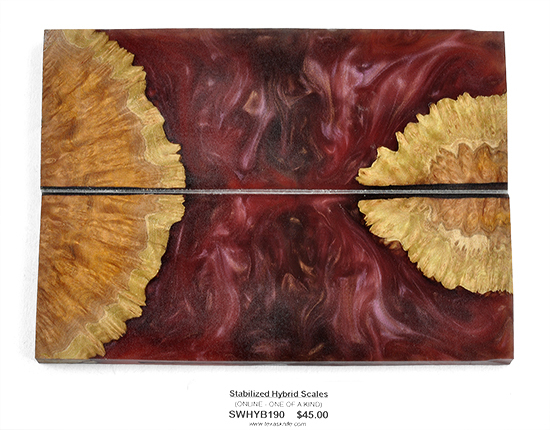 These scales are a composite of Maple burl wood, and high grade acrylic resins. They have been stabilized and sealed. Scale dimensions are: 5-5/8" x 2" x 3/8"
Online as One of a Kind ------ Only One Available with this exact grain/color!